mountains in the North and vineyards and lemon groves in the South. discover Santorini's dramatic cliffs and whitewashed villages. 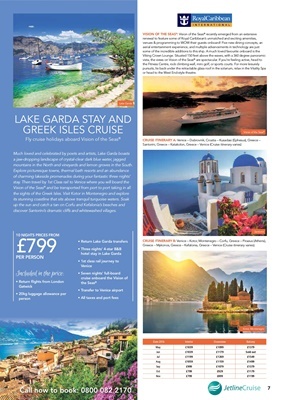 Greece - Mykonos, Greece - Kefalonia, Greece - Venice (Cruise itinerary varies). or head to the West End-style theatre.